Do I Need an Estate Plan If I’m Filing for Bankruptcy? 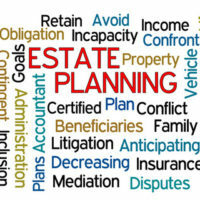 Estate planning is largely about disposing of your property. But what if you have filed for, or are contemplating, bankruptcy? Suppose you were to suddenly pass away before your bankruptcy is settled. What happens to your case, and what effect might it have on your Florida probate estate? Most individual debtors file for either Chapter 7 or Chapter 13 bankruptcy. In a Chapter 7 case, a court-appointed bankruptcy trustee liquidates a debtor’s non-exempt assets and repays any creditors to the extent possible. The court then discharges any remaining debt. Unlike probate and estate administration, bankruptcy is a purely federal process. Federal bankruptcy rules dictate that if a debtor passes away, a Chapter 7 case should pretty much proceed as if nothing has changed. Practically speaking, the trustee is in charge of the liquidation, so the debtor’s direct participation is limited. But if the trustee chooses to abandon any assets–that is to say, it is not worth the effort to liquidate them–or the debtor has assets that were exempt from bankruptcy to begin with, that property will still need to pass through probate administration. Keep in mind, a Chapter 7 bankruptcy is often beneficial to a probate estate, since the final discharge eliminates the deceased debtor’s obligation to repay most debts. In other words, the discharged creditors cannot make any claims against the debtor’s estate. This means more of the estate’s property is available for distribution to the decedent’s beneficiaries. With a Chapter 13 case, a debtor’s death may complicate things more significantly than in a Chapter 7 proceeding. Chapter 13 filings are not straightforward liquidations. Instead, the debtor must submit a plan to the trustee and the bankruptcy court to repay any outstanding debts over an extended period of time, typically between three and five years. These repayments are based on the debtor’s “disposable” income. Obviously, it is difficult for a debtor to earn income and meet a monthly plan if they are dead. But this does not mean that death automatically terminates a Chapter 13 case. There are in fact several options available to the estate and the bankruptcy court. The estate can ask for a dismissal, but this would enable the decedent’s creditors to seek repayment of any outstanding debts in probate. Alternatively, the decedent’s heirs can ask the court for a “hardship discharge,” which would eliminate the obligation to repay debt without completing the repayment plan. Finally, the heirs may attempt to continue the case–completing the repayment plan–if it is financially feasible. Even if you are facing the prospect of bankruptcy, you still need to have a will and supporting documents in place. An experienced Fort Myers estate planning attorney can advise and assist you in this area. Contact the Kuhn Law Firm, P.A., at 239-333-4529 to schedule a free consultation with a member of our team today.